This evening the Swans make the long journey to Yorkshire to face second in the table Leeds United, for what many fans have dubbed the ‘Daniel James derby’. Swansea picked up the three points at the weekend with a 1-0 victory over Millwall courtesy of a first senior goal for George Byers. The victory keeps Graham Potter’s men in the top half of the table, just 7 points off the play-offs spots, and more importantly with a record of just one defeat in nine matches. Leeds snatched a late point at promotion rivals Middlesbrough on the weekend which ensured they stay in the top two of the Championship table. Leeds have suffered a dip in form since the ‘Spygate’ controversy, taking just four points out of a possible twelve and will be looking to get their promotion push back on track against the Swans. No doubt Bielsa and co will use the Daniel James transfer deadline day saga as extra motivation against the Swans. Take a look at all of the historical results between the two clubs since their first meeting way back in 1927, when Leeds hammered Swansea Town 5-0 at Elland Road in Division 2, on our Leeds United v Swansea City Head to Head Statistics page. Lancashire born David Webb will be the man in charge when Leeds entertain the Swans at Elland Road this evening. The last time he was the referee for a Swans game was back in December, when the Swans ran out 2-1 winners against Sheffield Wednesday at the Liberty Stadium. This will be the first time he has been in charge of a Leeds United game this season. During the 18 Championship games he has officiated this season, he has awarded 4 penalties, 1 red card and 48 yellow cards. 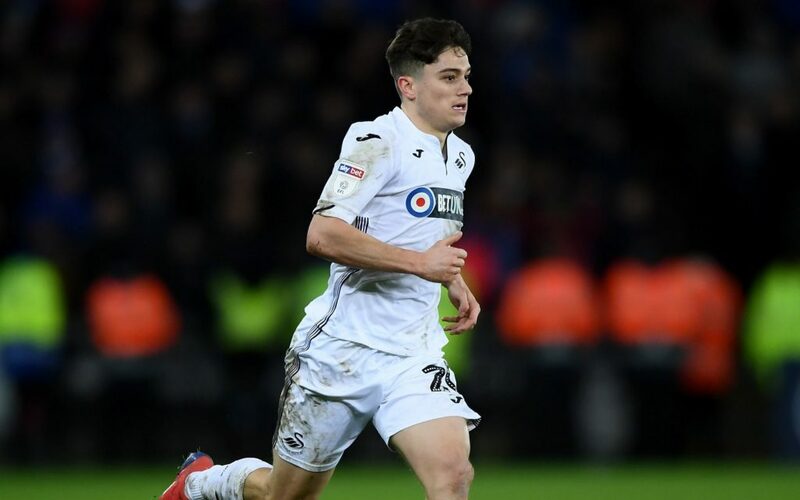 A lot of the focus in the game will centre on Swansea winger Daniel James who on transfer deadline day seemed destined for a transfer to Leeds only for it to collapse at the 11th hour. 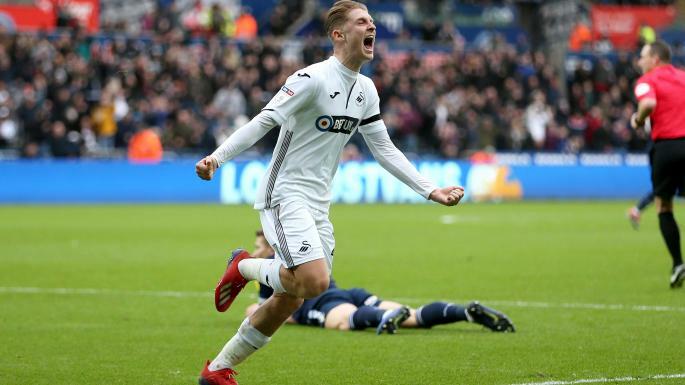 In football, fate has a habit in these situations where the player will score in the next game between the two sides and I, like a lot of Swansea supporters, do fancy Dan James to score in the game. Not just because of what happened during the transfer window, but due to his pace on the counter attack, which will be a big worry to Leeds boss and one-time Swans target Marcelo Bielsa. The Swans official sponsors BetUK are currently offering 18/1 (19.0) on Dan to open the scoring which seems quite overpriced to me. Dan is 6/1 (7.00) to score at any time and is a whopping 74/1 (75.00) to score two goals or more for the optimistic punter in the ‘worth a pound’ category. Swansea won’t have history on their side in this fixture. They haven’t won away to Leeds since 1949 (yes 70 years ago!) and have lost on their last nine visits to Elland Road, so it will be a difficult challenge for Graham Potter’s side. However, with Leeds’s indifferent form and them missing several key players, most notably the impressive youngster Jack Clarke and left back Barry Douglas, then I do think Swansea have a chance of taking the three points. Swansea are available at 9/2 (5.50) to win the game with Bet365. Note that they match BetUK’s prices on Dan James to open the scoring and to score at any time. We have a smaller ACCA for punters on Wednesday night and our four selections are Real Madrid, Derby, Norwich and Blackburn. The four fold pays 30.42/1 (31.42) with MarathonBet. If you’re planning on having a little flutter on the Swans tonight, here are my recommended betting tips. Swansea to win at 9/2 (5.50) with Bet365. First Goalscorer – Dan James at 18/1 (19.00) with BetUK and Bet365. Anytime Goalscorer – Dan James at 6/1 (7.00) with BetUK and Bet365. To score two goals or more – Dan James at 74/1 (75.00) with BetUK.